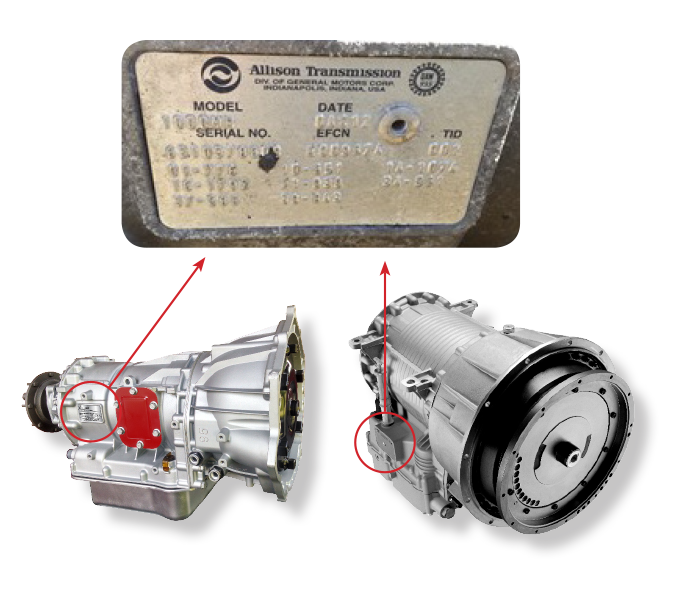 *The Allison® Transmission serial # and/or 8 digit assembly number is located on the identification plate mounted to the side of your Allison® Transmission main case. See image below. *This pertains to customers located in North America only.